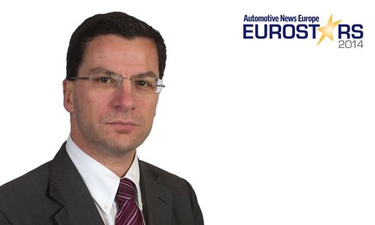 CAREER HIGHLIGHTS: Olivier joined PSA-controlled parts supplier Faurecia as CEO in 2006. Within a year he was promoted to the automaker's managing board as head of programs. He relocated to China in 2010 to lead PSA's Asian operations. In June, he was promoted to operational director for China & ASEAN. REASON FOR WINNING: One of the few bright spots during PSA's recent struggles has been the rapid growth of its China business. When Olivier took charge in China in 2010 PSA was a tiny player in the world's largest auto market. It finished 2013 with a 3.6 percent market share by increasing China sales 26 percent to 557,000 vehicles, easily outpacing the overall market's 19 percent increase.